Following the introduction of the Economic Substance (Companies and Limited Partnerships) Act, 2018 (the Act) in the British Virgin Islands (BVI) on 1st January 2019, BVI entities conducting certain business activities must meet economic substance requirements in the BVI. This BVI legislation was enacted in response to requirements established by the EU Code of Conduct Group in June 2018. Similar legislation has been enacted in other offshore jurisdictions such as Bermuda, Cayman Islands, Jersey, Guernsey and the Isle of Man. Which entities are caught by the Act? Under the Act, “legal entities” carrying on “relevant activities” are caught. Legal entities are, broadly speaking all BVI companies and limited partnerships (except for limited partnerships without legal personality), excluding those which are tax resident in a jurisdiction outside the BVI that is not listed by the European Union as a non-cooperative jurisdiction. Legal entities conducting any of these relevant activities will have to comply with the economic substance requirements as set out in the Act. What does Holding Business mean? Holding business means the business of being a legal entity that only holds equity participations in other entities and only earns dividends and capital gains. What does Fund Management Business mean? Fund Management Business means the conduct of an activity that requires the legal entity to hold an investment business licence pursuant to section 4 and category 3 of Schedule 4 of the Securities and Investment Business Act, 2010. How does a Legal Entity comply with the Economic Substance Requirements under the Act? The spectrum of economic substance requirements depends on the type of the relevant business the legal entity is conducting. The requirements for legal entities conducting holding business are less onerous than for other relevant activities. A holding company will need to comply with existing statutory obligations, to have adequate employees and premises for holding equitable interests and where it manages those equitable interests it will need to have adequate employees and premises for carrying out that management. Further guidance from the BVI legislator on what constitutes “adequate employees and premises” in this context is expected to be published towards the end of April 2019. Legal entities carrying on relevant activities other than holding business must manage and direct the relevant activity and conduct core income-generating activity in the BVI. They must also have an adequate level of employees and expenditure in the BVI and appropriate office space for the core income generating activity in the BVI. Outsourcing is permitted in certain circumstances. Again, it is expected that further guidance on the requirements will be published by the BVI legislator shortly. Entities carrying on intellectual property business will be subject to more onerous requirements than entities carrying on other relevant activities. Legal Entities formed in 2019 will have to comply for a reporting period ending on or after 31 December 2019, depending on the date of formation. Legal entities formed before 2019 will need to show compliance with economic substance requirements no later than 30 June 2019. Importantly, non-compliance may lead to substantial penalties, imprisonment and/or strike off. How can Hatstone help you? The much-awaited legislative guidance will provide further detail and clarity as to the precise scope of the Act. We will be circulating follow-on client updates once such guidance is available and will be happy to advise you on whether or not your BVI entity is caught by the Act and, if it is, how to ensure compliance with the Act. Lastly, we share the prevalent view in the BVI finance industry that not all clients will be impacted by this. If you have any questions, please contact Calum Mckenzie and Philipp Neumann. Hatstone has strengthened its dispute resolution team in Jersey with the appointment of Advocate Alexander English to Group Partner. Alexander’s addition brings the litigation department in Jersey up to two Group Partners and is a reflection of a particularly strong period of growth across its global dispute resolution practice. He is one of only a small number of Advocates to have experience of winning an appeal in the Court of Appeal against a judgment of the Royal Court. His wide-ranging civil practice includes, but is not limited to, trust disputes, breach of contract, negligence, employment law, personal injury, defamation, debt recovery, construction disputes, property disputes, and wills disputes. His family practice includes but is not limited to divorce, maintenance and child contact proceedings. Due to continued growth, our merger with the Folio Group and further planned expansion, three offices of the Hatstone Group have relocated within the past twelve months. The South Africa office commenced operations in 2013 with one lawyer and has since grown to a team of 11 lawyers. As a result of such expansion the team moved to larger offices in Stellenbosch. 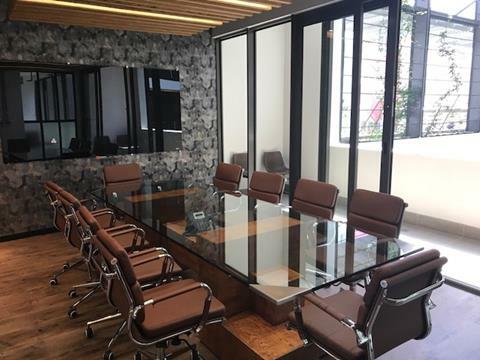 Both the Hatstone Group and the Folio Group had offices in Panama and following the decision to join forces they have moved 7 floors up from Hatstone’s former office in the BICSA Financial Center. This is the most recent move for the Hatstone Group. In September, the Jersey office moved 4 miles from St Peter returning to the main financial district of St Helier. We look forward to welcoming you at the new offices. The British Virgin Islands (BVI) has been the leading jurisdiction for company formations with around 400.000 active companies registered. The BVI is also a very well-established jurisdiction for investment managers and advisors seeking to establish and operate an offshore fund, be it a hedge fund, a private equity fund, a real estate fund or a hybrid fund, a regulated or unregulated fund. Earlier this year the BVI legislator introduced the very much anticipated BVI Limited Partnership Act, 2017, replacing Part VI of the former Partnership Act, 1996 for new limited partnerships and for those existing limited partnerships that elect to re-register under the Act. ability to publicly register security against a limited partnership with legal personality and to obtain priority under BVI law to the assets of the limited partnership as a result of the filing and to give constructive notice to third parties. application of certain corporate law concept to limited partnerships, such as continuations into and out of the BVI, mergers, consolidations, redemptions of minority interests and plans and schemes of arrangements between partners and or creditors of the limited partnership. Hatstone believes that the new BVI Limited Partnership Act, 2017 will continue attracting a lot of interest from the private equity sector. For more information or specific advice on limited partnerships in the BVI, please contact Group Partner’s Philipp Neumann and Carl O’Shea. The Hatstone Group is pleased to announce that three Hatstone lawyers have been recognised by Legal 500 Latin America 2018. Lizst is a Panamanian lawyer specialising in corporate and commercial law, asset protection, wealth management, trusts and foundations. She regularly advises private clients, trust companies, family offices and tax boutiques in Europe and Latin America. Lizst heads up the office in the Republic of Panama. Lidia is a Panamanian lawyer who specialises in advising upon the establishment and implementation of corporate and fiduciary vehicles for transactional, succession and estate planning purposes. She is responsible for assisting with the growth of our Panamanian legal practice, Hatstone Abogados, and developing our Latin American practice. Carl specialises in private client, corporate and commercial, trusts and foundations, investment funds and banking and finance. He regularly advises trust companies, fund administrators, tax boutiques and private clients. He splits his time between our offices in Jersey and Panama. Congratulations to Jersey local, Aaron Chandler, who recently qualified as an English solicitor with Hatstone in Jersey. Aaron joined Hatstone as a paralegal in 2012 and following completion of the Legal Practice Course undertook a two year training contract with Hatstone in Jersey. Aaron’s areas of practice are corporate and commercial and private client law. 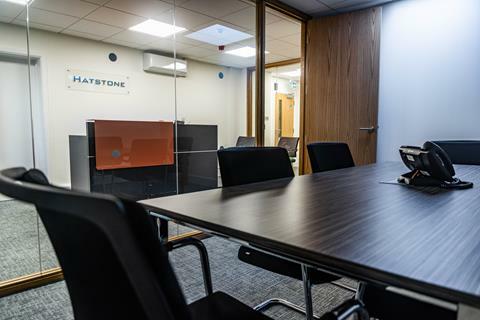 If you are currently undertaking the Legal Practice Course in the UK and would like to consider a training contract at Hatstone in Jersey then please contact careers@hatstone.com.